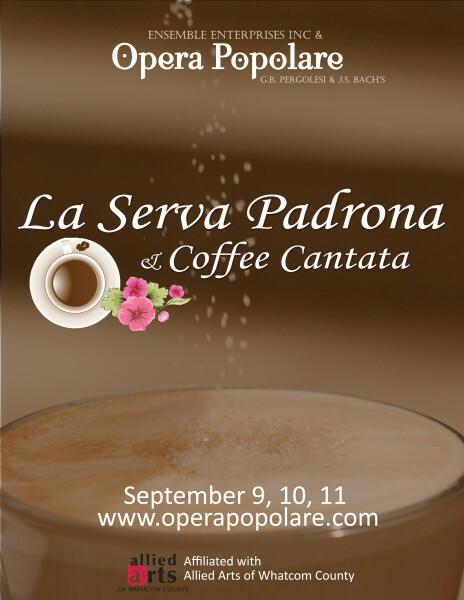 Click here Opera Latte review to see what reviewers said about the show. Coffee Cantata is about a vivacious young woman named Lizzie who loves coffee. Her killjoy father is, of course, dead set against his daughter having any kind of caffeinated fun. So he tries to ban her from the drink. Eventually, daughter and father reconcile when he agrees to have a guaranteed on demand written into her marriage contract. Pandolfo is upset and sings about how his servant Zerbina is neglecting her duties. 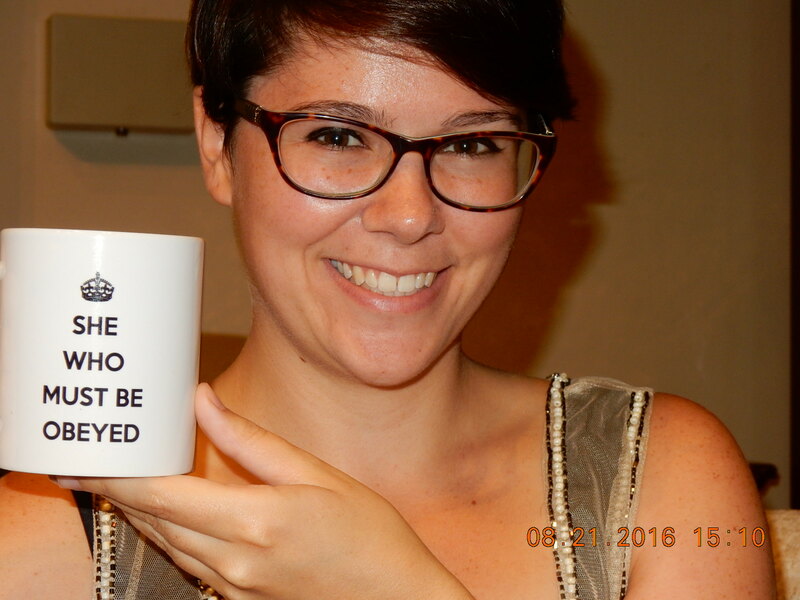 When Zerbina enters without the coffee Pandolfo had requested, she asserts that she will no longer take orders from him. Angry about Zerbina’s increasingly insubordinate behavior, Pandolfo declares that he must put Zerbina in her place by giving her a mistress to serve. Therefore, Pandolfo decides, he must get married. He orders Scapin to find him a wife but Zerbina objects, saying that he should marry her instead. Act I ends with a duet by Zerbina and Pandolfo, arguing over his choice of bride. In order to make Pandolfo jealous, Zerbina decides she needs a suitor of her own. She solicits the help of Scapin who agrees to disguise himself as a soldier asking for her hand. Scapin waits outside while Pandolfo enters and Zerbina declares her intention to marry her “suitor.” While she goes to get Scapin, Pandolfo tries to figure out his true feelings for Zerbina. Zerbina returns with her suitor and sings an aria* about how Pandolfo will miss her when she is gone. The act closes with Pandolfo’s realization that having Zerbina is better than losing her. Pandolfo declares that he will marry her himself. Zerbina, surprised at Pandolfo’s expression of love and willingness to stand up to her suitor and defend her, finds herself moved to return his love.